The number of amps that can be withdrawn at a constant rate for 20 hours @ 80 F before voltage drops to 1.75 volts per cell (discharged). 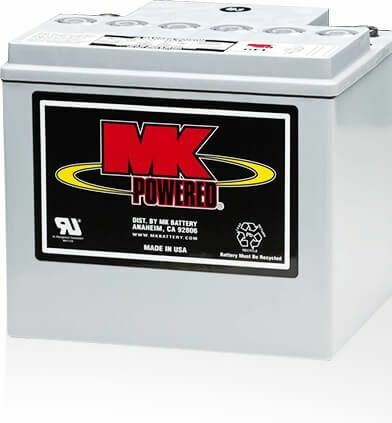 MK Battery provides the highest quality and most environmentally responsible battery solutions for specialized deep-cycle and standby power applications. We take pride in our dedicated people and in our total commitment to offering the most reliable products, world-class service and support, and maximum overall value to the diverse markets we serve.